While hard disk drive vendors have managed to hit the mythical 10TB barrier, SSD manufacturers are not far behind. In fact, a little known Japanese company, Fixstars, has unveiled a 6TB SSD that can fit in some laptops. What makes it so special is that it's a 2.5-inch model compared to the 3.5-inch drives that are used in traditional computers – that translates into a much higher storage density, in other words, you can pack in more data per unit volume. The SSD-6000M uses 15nm MLC flash memory, providing read/write speeds of up to 540MBps and 520MBps respectively. There are actually bigger 2.5-inch SSDs on the market; in November last year, US-based Foremay outed an 8TB SATA 3 SSD drive, with AmpINC and Novachips already shipping 8TB models. What makes the Fixstars announcement stand out from the pack is the fact that it is a mere 9.5mm thick, thinner than the competition (which is generally 15mm thick). 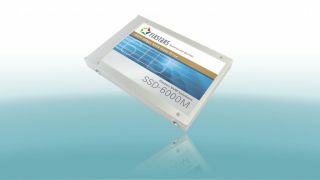 The SSD-6000M will be available towards the end of July for US customers with RoW ones likely to follow shortly after. Fixstars hasn't said how much they will cost but expect these drives to come at a very significant premium. The next big capacity jump is likely to occur at 10TB with Intel and Micron having already committed to such devices over the next few months. Like the aforementioned pair, Samsung on one side and SanDisk and Toshiba on the other will use 3D NAND flash technology to deliver drives that may well surpass the capacity of hard disk drives, albeit at a steep cost.